#LF: Why do you want to impact the world of education? AD: After teaching for two years in urban schools in DC, I saw the potential for innovative companies to deliver better lessons to students. Sadly, we haven’t changed our methods for educating students in over a century. The structure of the classroom and the methods of teaching look just like they did in the early 1900s. A student today would walk into a typical classroom from 1912 and feel at home. However, technology and social media are changing all of this. I hope to play a role in that transformation. Education is the greatest gift you can give a person. No one should be denied the opportunity to lead an examined life. #LF: How are you working to make this impact? 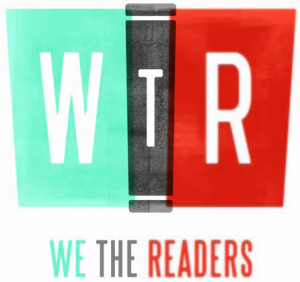 AD: Two ways- I started a small non-profit called We, The Readers. The goal (as the name hints at) is to bring citizens together around literature. I believe that people still like to read, share ideas and have discussions. I also believe that those conversations can lead to better relationships with our neighbors. That process starts in schools, so we’re currently working to mentors students in schools and we hope to expand that to community events, like book clubs. The second way I affect change is at a company called Whiteboard Advisors which does consulting for education companies, foundations, and non-profits. #LF: How does your relationship with Jesus compel you to engage in this way? AD: My thinking about the gospel has changed a lot over the years. I used to see my relationship with Jesus as one where I was only concerned about getting to heaven. But when I stopped taking everyone’s word for it and I read the story of Jesus myself, I saw that Jesus was a champion of causes for people on the margins of society. In the US, one of the greatest injustices we face is the disparity in education between the rich and the poor. I think Jesus would have turned over some teachers desks if he walked into certain schools in the country. My goal is to show love by ensuring that all students receive a good education. #LF: What is your long term vision for this project? AD: I’m still figuring out the vision. For We, The Readers – I want to see people connect with stories and ideas and use those as ways to build community. Beyond that, I’m interested in building better education companies and rethinking how school can be a learning environment where students are collaborating to learn and produce cultural goods. What is the last book you read? We’ll answer in the comments and you should too! 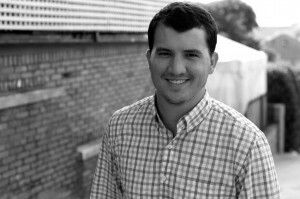 This post was by Brian, a leader seeking to know the "why" behind the "how"